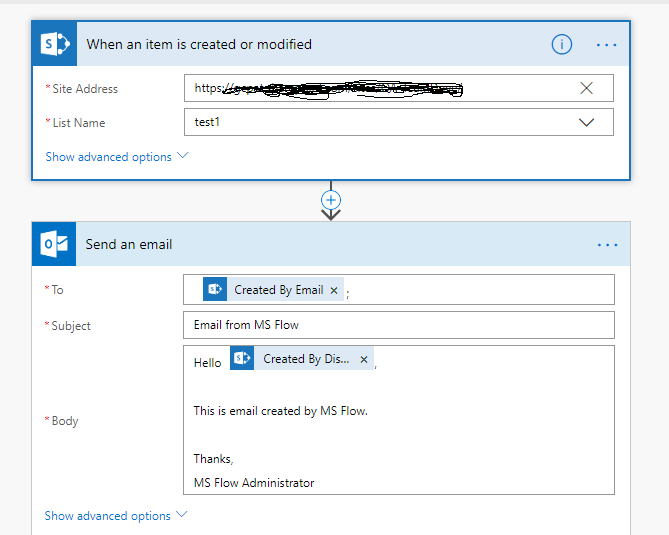 Here, I am creating the basic Microsoft Flow which will send an email as a new item is created/modified in the SharePoint list. 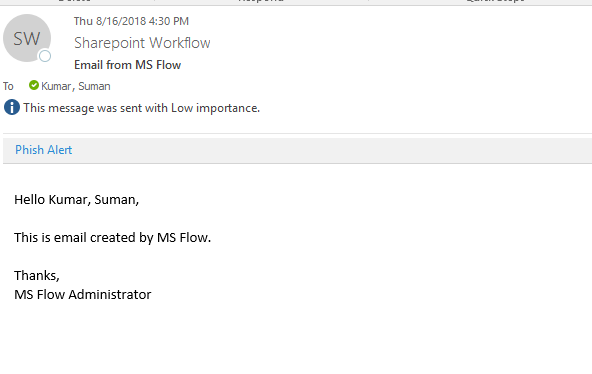 Here, we will be creating a basic Microsoft Flow which will read the List Title from Office 365 SharePoint list and send an email to the user. I have used the template in a way that whenever a list item is created/modified, it will trigger the email. Login to https://flow.microsoft.com with your credentials. Create from a blank template and type SharePoint Item. It will provide you an option of "SharePoint - When an item is created or modified". Provide site address and the list name. Add "Send" from the action menu. We are sending an email to the person who has created the record. The final window of the flow should look like the following. Add a new item in the list which we mentioned above. Here, we can see that the email was trigerred. In the first action, it needs site URL and list name for which it should run and then in the second act, it requires to send an email which will actually trigger the email. Let me know if you face issues with MS Flow implementation.